Alessandra and I first met virtually, tweeting back and forth and following each other’s vegan lifestyle blogs. It didn’t take long to realize we have a lot in common: Alessandra currently attends my alma mater (Vassar), and she is also a passionate ethical vegan. Since we were officially acquainted a few months ago at the Marti Kheel Ecofeminist Conference at Wesleyan University, I got to meet the truly compassionate, ethical, tough-minded and kind woman behind the glorious high raw vegan cuisine and vegan commentary Alessandra posts regularly on her fantastic blog Farmers Market Vegan. 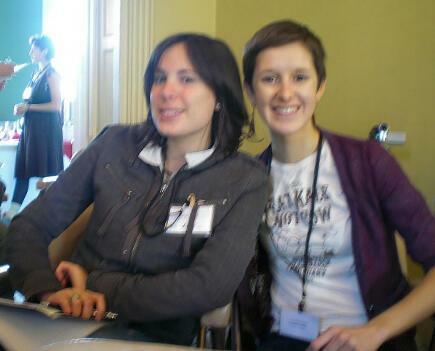 Meeting the wonderful Alessandra Seiter at the Marti Kheel Ecofeminist Conference at Wesleyan University. Alessandra’s post today discusses her views on the importance of taking a stand against animal abuse, and how important it is to be outspoken when it comes to flippant, non-vegan-friendly, animal-exploitative, politically incorrect remarks from non-vegans. The ability to deal with non-vegan criticism can make-or-break someone’s commitment to a vegan lifestyle. I’ve known plenty of aspiring vegans who have caved to pressure from family, society, partners, friends. It’s not always easy to break free from expectations from those close to us or from society at large, and I commend Alessandra for approaching the topic from a place of understanding. 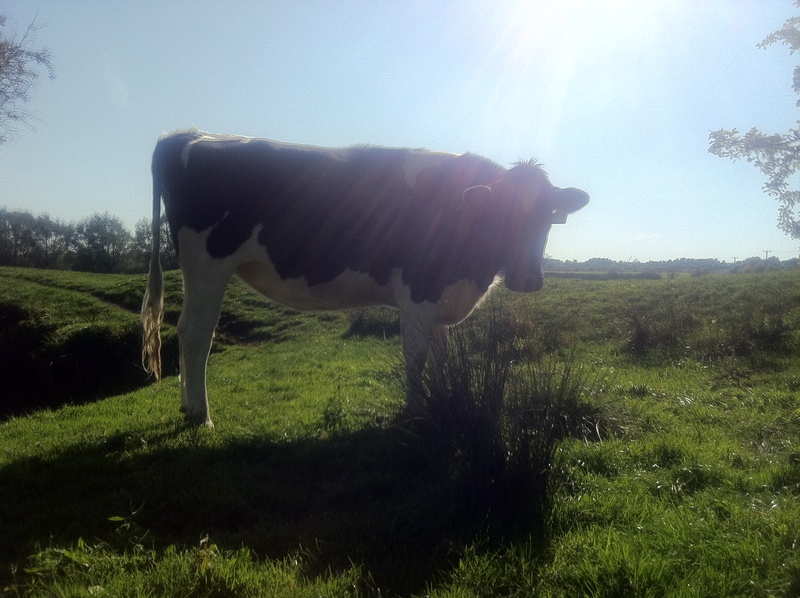 Drawing parallels between oppression against animals and against other groups, Alessandra suggests that vegans who “speak” for animals who are voiceless are often treated in hostile ways and that this should not be tolerated. I am so grateful she agreed to write a post for Queer Vegan Food, and I think her choice of subjects is incredibly relevant to the topics frequently discussed in this blog, including looking at interconnected oppressions, and how identity politics play a role in our vegan lifestyles. Alessandra’s guest post is thought-provoking on many levels and I know you’ll find it as enriching as I have. Back in my junior year of high school, on a bitingly cold day in the dead of winter, I and twenty-some classmates shivered and chattered our teeth whilst our teacher lectured at the front of one of many rooms in the school that boasted a broken radiator. Glancing toward the back of the room, I noticed in outrage that a slightly ajar window invited even more freezing air to permeate our veritable igloo of learning, and promptly scurried to shut it. However, after struggling by my lonesome to yank the window closed, I had to enlist two of my fellow classmates to aid me in carrying out the deed, which inspired my teacher to interrupt his own lecture with a flippant, “Oh, just eat a steak, Ali. Then you’ll be strong enough to close a window by yourself.” Nevermind that the awkward angle of the window rendered it difficult to enact enough leverage upon it to close it; nevermind that the subzero temperature had partially frozen the windowpane into its frame; nevermind that most of the rest of the class couldn’t close the heavy windows single-handedly, either. No, my teacher decided to pinpoint my veganism as the cause of my supposedly unique frailty, and even deemed it necessary to do so in the form of a pronouncement to a large group of students. Granted, this particular teacher often made lighthearted jokes about his students, such as when he asked my friend, clad in a vest of white lace, if she planned on attending a tea party later that day. When she responded, “No, why?”, he followed with, “Well, I’m just confused as to why you’re wearing a doily.” Teacher grins, friend blushes, classmates giggle, and lesson resumes without much incident. However, even though our teacher never intended for his insouciant comments to seem malicious, nor did anyone usually interpret them as such, his infamous steak comment left me feeling quite belittled, discriminated against, and even attacked. Did he really have to perpetuate the stereotype of vegans as protein-deficient weaklings to further disenfranchise a compassionate, conscious lifestyle? Didn’t he understand that veganism comprised an integral aspect of my identity, rendering me utterly incapable of and opposed to abandoning the vast majority of my beliefs and values by “just eating a steak”? Didn’t he understand that veganism comprised an integral aspect of my identity, rendering me utterly incapable of and opposed to abandoning the vast majority of my beliefs and values by “just eating a steak”? Would he have ever made a similar remark, just as demeaning to one’s steadfast moral system, toward someone for their religious beliefs of any other underrepresented identity? In response to my own three rhetorical questions above: 1.) I remain fully certain that my teacher didn’t regard his steak comment as derogatory of a legitimate ideology, but simply as a playful jab at my petite figure. 2.) No, he almost definitely misconstrued veganism as merely a set of dietary habits existing independent of ethics or social justice. 3.) Absolutely not, but considering his aforementioned assumed misinterpretation of a vegan lifestyle, he wouldn’t have considered veganism as a touchy subject deserving the use of politically correct language—in other words, he probably viewed my decision to become vegan as just as arbitrary as that of my friend to wear a lacy vest, and thereby just as harmless a subject of his blithe derisions. I experience less extreme, yet just as upsetting, instances of this widespread failure to understand veganism as an intrinsic element of one’s character quite often in my everyday life. For example, the non-vegans with whom I dine (aka, most of my eating companions) seldom ask if I would feel uncomfortable if they consumed animal flesh and secretions around me. Additionally, my aunt recently told me about the successful Christmas party she hosted, emphasizing the enormous platter of various fish and shellfish that she served to her delighted guests, and became rather offended when I reacted with less enthusiasm than she expected. While home from college for winter break, my mother requested that I help her prepare appetizers for a holiday party that she and my father planned to attend later that night—appetizers in which she insisted upon featuring goat’s milk cheese and Parmesan-filled pesto—and raised her eyebrows in skepticism when I explained my discomfort in doing so. Finally (though I can recount a plethora of further examples), a couple months ago, I broke into tears while my good friend and I discussed the isolation and lack of support for my veganism that I felt in my immediate community; my friend’s genuinely concerned response of, “So why don’t you just stop being vegan?” underscores the mainstream perception of veganism as a trait more akin to one’s hair color than to one’s deepest moral values. News flash non-vegans, aunt, mom, and friend: yes, I do find all of these things offensive. “So why don’t you just stop being vegan?” underscores the mainstream perception of veganism as a trait more akin to one’s hair color than to one’s deepest moral values. To those who view my veganism as a private choice I made willy-nilly to prove my nonconformity/help me lose weight/highlight my “hippie” image/change my eating habits in silence, with no intention of spreading the urgent reasons that compelled me to do so/etc., I’d like to offer these insights into why I’m vegan and devoted to remaining as such for the remainder of my life: to show non-exclusive compassion for all beings. To cause as little harm as possible to the world around me and all of its inhabitants. To expose the egregious animal cruelty perpetrated on every single factory farm in existence. To oppose the corrupt triangle of animal agribusiness, the government, and the pharmaceutical industry that profits immensely from influencing people to eat the meat and dairy products that underlie our country’s health crisis. To advocate for the exploited and deeply traumatized individuals employed at slaughterhouses. To combat the mindset of desensitization to violence and suffering with which the vast majority of people currently live. I could go on. So no, I can’t just “eat a steak” or “stop being vegan,” because to do so would require me to either contract amnesia and forget every smidgen of information I’ve gathered about the dire implications of eating animals, or to metamorphose into an altogether different person with a new brain, personality, and belief system. Veganism defines who I am, just as does sexuality for many involved in the gay rights movement, or as did race for many involved in the civil rights movement. But because mainstream society often fails to accept veganism or animal rights as legitimate social movements, most folks wouldn’t consider eating a hamburger, waxing poetic about the cheese plate one ordered at a restaurant last night, or demanding respect for their personal eating habits as offensive toward the vegans with whom they may interact. I’d like to argue that vegans deserve just as much consideration as others who speak for underrepresented groups in terms of what those outside the groups deem as appropriate to say to them, and would urge people to ponder that, for example, justifying the decision to eat meat by insisting that humans have done so for a significant number of years parallels justifying the decision to own slaves based upon the same reasoning. 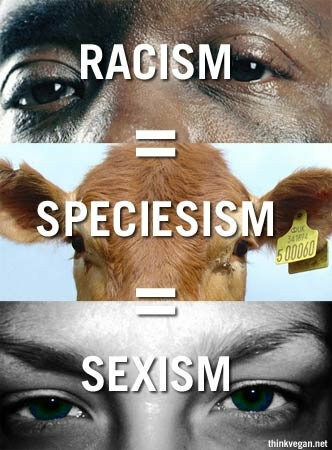 If individuals support any sort of movement involving human rights, environmental protection, or a general decrease in violence, I say that looking down upon veganism as an insignificant personal choice rather than respecting it as a powerful call for justice undermines the progressive, liberally-minded ethics said individuals have worked to cultivate. I remain confident that once people begin to understand veganism as a deeply ingrained set of values and beliefs, they’ll start to ask for more information concerning the activist ideals of a vegan lifestyle, and thereby discover the toll that eating animals has taken and will continue to take on billions of sentient beings, on our planet, and on our personal health. A passionate animal liberation advocate with a penchant for writing and healthy living, Ali Seiter intends to devote her professional and personal lives to speaking out on behalf of the victims of animal agribusiness, both human and non. She currently attends Vassar College as a prospective English major. In her limited spare time, Ali enjoys practicing yoga, biking, baking gluten-free bread, and blogging at Farmers Market Vegan. You can find Ali on her blog, on Twitter as @FarmerMarketVeg, or on Facebook. Thank you for this. I love Captain Watson’s quote, it actually teared me up for a moment.There are so many time is this life that we choke back our response to all these little insults. I do believe that it is ignorance that causes people to say things like this, and just like the “protein questions,” it is through calm, polite responses that we can educate. No matter how much we’d just like to gag over their cheese plate. Another brilliant post Ali. How amazing that people think they can justify their totally immoral and selfish act of meat eating by trying to belittle vegans. I guess it makes them feel better about what they do. It’s all part of denial. I have also put up with this behaviour for about 50 years, so that’s a lot of insults! My responses are varied, but never kind! I am the one who walks away smiling though. I just think of the thousands of innocent souls I have saved through being vegan almost all of my life. No insult can ever top that. Such a brilliant post! Well-written, passionate, and spot-on! I can relate to all of it. I have been vegan for 16 years, and I still experience people telling me about their ‘delicious roast’ or the like. What do they expect me to say?! Surely not, ‘yum’. I even had a friend say ‘it’s a shame you’re vegan’ while telling me about a ‘fabulous’ seafood restaurant she had visited. Hey, I’ve got news for you- we’ve got great food too, and it isn’t a dead animal. I worry less about comments made to me these days, and more about how my (life vegan) children will fare. I would hate to think that a high school teacher would say to one of my kids what was said to you.